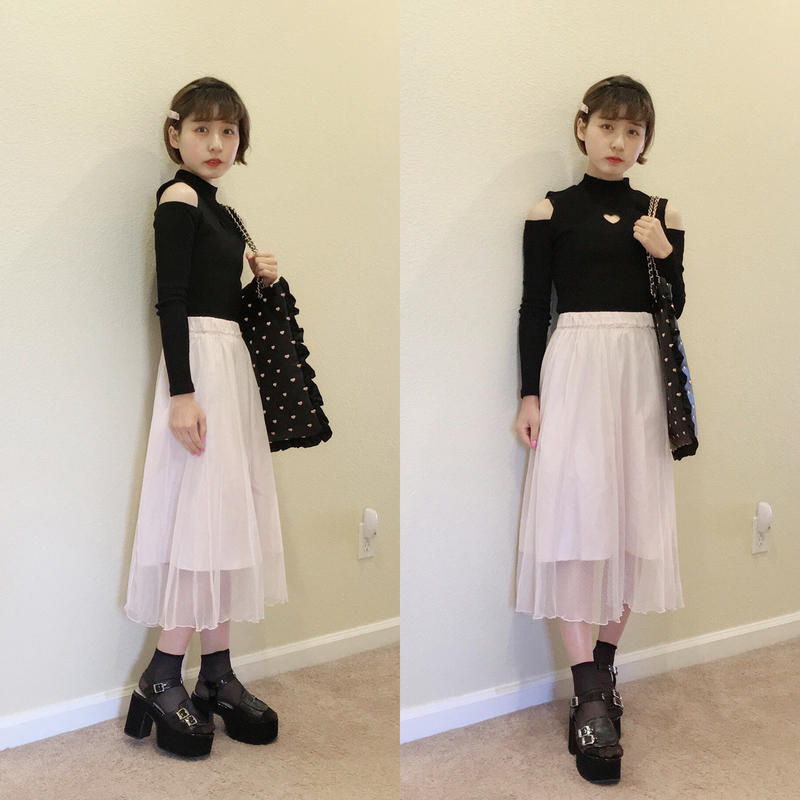 Here are a couple of recent outfits! I wore this outfit to get dim sum and bubble tea with some wonderful California friends! I've been wearing a lot of black x pink lately. I adore this color combination as it strikes the LARME-typical balance between girly, sweet, and sophisticated. 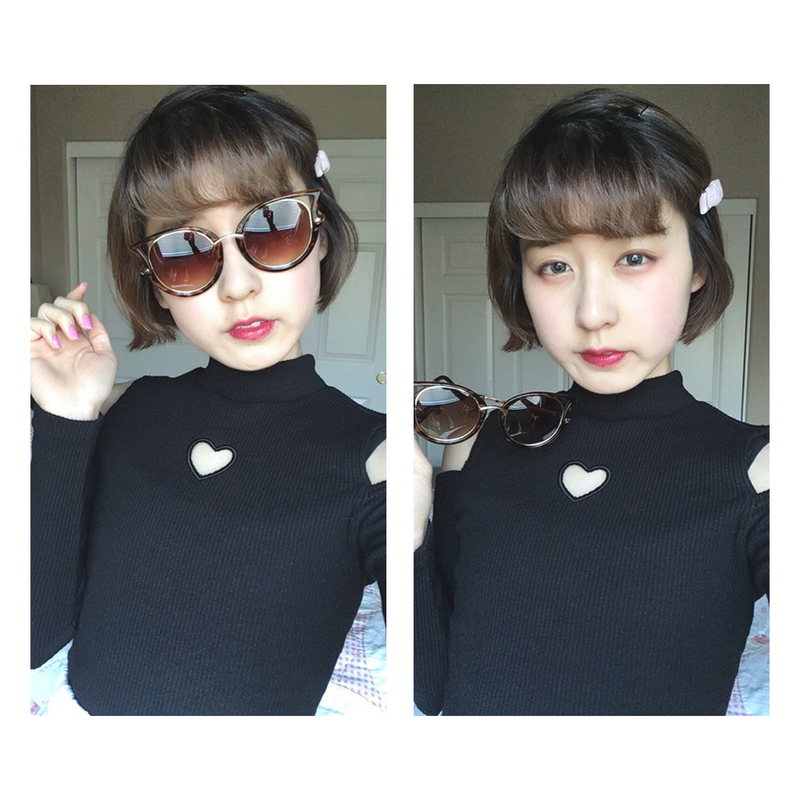 Black x pink also seems to be one of Risa Nakamura's favorite palettes. Many LARME-style Japanese brands are releasing their Autumn Winter 2016 collections, which seem to favor the pink x black color combination as well. The black and pink color combination is also becoming very popular in street fashion. I have also been loving the trend of loose, flowy bottoms in Japanese fashion. This is a casual, retro girly outfit. I'm not certain if it completely suits the LARME aesthetic, but I did focus on similar girly stylings with the high-waisted jeans, the cropped top, the enamel/patent texture, the frill detail, and the plaid and gingham patterns. I wish I owned higher-waisted jeans—I can never find ones that are as high waisted as the jeans often featured in the magazine! Thank you for reading my rather short recent outfits post! 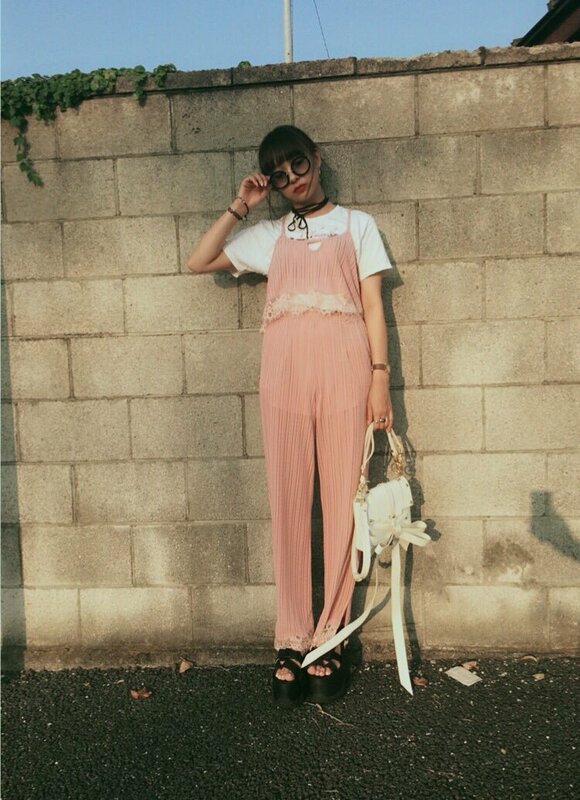 Do you enjoy the pink x black/"Risa style" direction that many Japanese brands seem to be headed in? What are some Autumn Winter 2016 trends that you are excited about?